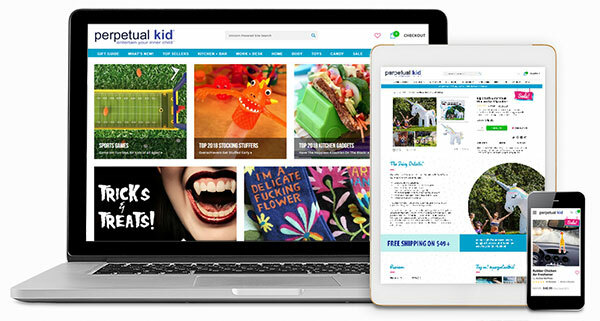 We just love when people spread the word about Perpetual Kid! And then we thought hey... why not reward people for doing so! If you run a website apply for our Share-A-Sale affiliate program. Approvals are based on a variety of requirements. Please note that we are not currently accepting coupon and discount code sites into our affiliate program. Likes: Cats, cats, cats, 1980’s, sense of humor, tacos, gadgets and doodads, sarcasm, Black Friday (did you get catch our sarcasm? ), smelly stuff, stocking stuffers, generous affiliate commissions, unicorns, rainbows, data feeds, and funny socks. Dislikes: People that don’t understand cats, boring gift shops, the fact that Pluto is no longer a planet, crowded malls, shipping charges, and running out of Taco Bell Hot sauce before finishing our tacos. Status: Single online gift shop looking for a good affiliate time! Cookies: We love cookies so much we give you 30 DAY COOKIES! Commission: We offer 10% COMMISSIONS! So… maybe you could pretty please accept our heartfelt invitation to become our favorite new affiliate? We’d love to spend some time together running promotions like giveaways, telling you all about our new products, working together to guarantee our relationship will flourish with a great love for each other, forge new visitors and customers for both, and make all of us really really happy! Thank you for your time and I hope we can start working together soon!